thank you to Zorra for her work to round all of these up! inviting bakers to bake a World Bread Day bread for BBD #62. 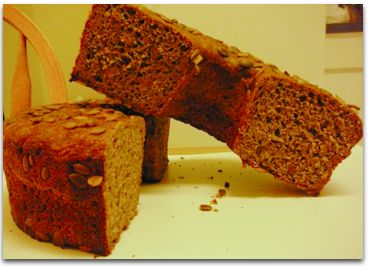 One of the rye breads contributed for World Bread Day really caught my eye: a Pumpkin Rye Sourdough bread, kindly posted by a Polish baker on the blog ‘The Scent of Bread – Zapach Chleba’. Wasn't this an incredibly gorgeous rye? The beautiful, airy crumb and glorious color – I had to try making this one! This is my attempt at re-creating this amazing Polish baker’s bread. I couldn’t find any information on the type 720 flour this baker used, so I used some whole, dark organic rye flour from Nunweiler’s. This is a really, really nice flour to work with – I was very happy with the fermentation. This bread has a fantastic flavor. I used squash and roasted it until it was really caramelized. 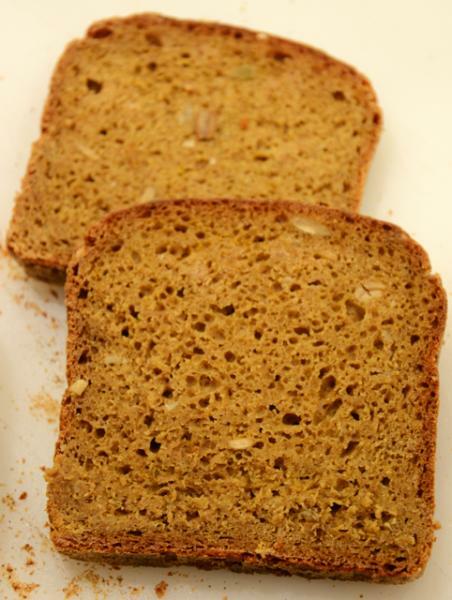 The sweetness from the squash is delicious in the baked bread! Thank you Zorra, for providing a venue for bakers around the world to share bread, and thank you to the baker from Zapach Chleba for baking this Pumpkin Sourdough Rye. Happy baking, everyone, and Happy Thanksgiving to all those celebrating this week! Gorgeous, and curious...I have yet to try rye with pumpkin. Hi Arlo, thank you - I hope you do try this. Roasting the squash really brought out an exquisite flavor. What a treat to the eye, Breadsong! One of the most elegant ryes i've ever seen. The crust and crumb are perfect. Now, I'll have to try pumpkin with rye, thanks to you. Thank you so much! I was so taken with this bread when I saw it on the Polish baker's blog. This dough fermented really nicely, with the rye flour I was using - and the sugars from the squash must have helped things along! I hope you enjoy making, and tasting, this bread. What a beautiful and delicious bread. Thanks for sharing this unique recipe. Certainly one to bookmark and try. You are very welcome and thank you for your kind comment. I hope you have a Happy Thanksgiving and I have no doubt you've got a pretty special bread to share at your holiday table! Squash going in the oven now! Popped walnuts also into the oven, roasting for 13 minutes. Where are those dried cherries? Craisins? and roasted pepitas? I can't resist orange zest with squash. Candied orange would give it a push in a sweeter direction, got to be careful I don't end up with a fruit cake here. I want savoury. You're so welcome and the 'tweaks' you've suggested sound gorgeously-good. Dried cherries and candied orange peel? Two of the nicest things I've tasted, added to rye. I hope you love this one. Thank you so much, Floyd. I hope you have a very happy (second) Thanksgiving! the levain - it looked so good! This one has Thanksgiving all over it. I'm glad it doesn't have any sugar in it. Mini's orange zest is a nice tweak. Too late for this year but next year will give this one a go for sure. Happy Thanksgiving - belated for you Canadians. An amazing flavor and sweetness came out when I roasted this squash, and I loved how some of the natural sweetness carried through to the flavor of the bread, after baking. Mini's orange-flavoring idea is an excellent one, and I will try that the next time I make this bread. If you do get a chance to make this bread, I hope you really enjoy it. Hi dabrownman, for some reason my reply to you posted not just twice, but three times! A stunning and simply perfect loaf you've made breadsong! The crumb itself is magnificent,and the colour the roasted squash has given it is lovely. Like Arlo I've never used pumpkin in a rye bread...or any other type of bread for that matter, something I'll have to remedy in short order now that I've seen this beauty of yours. I've used potato in bread dough many times, but pumpkin/squash, not so much. 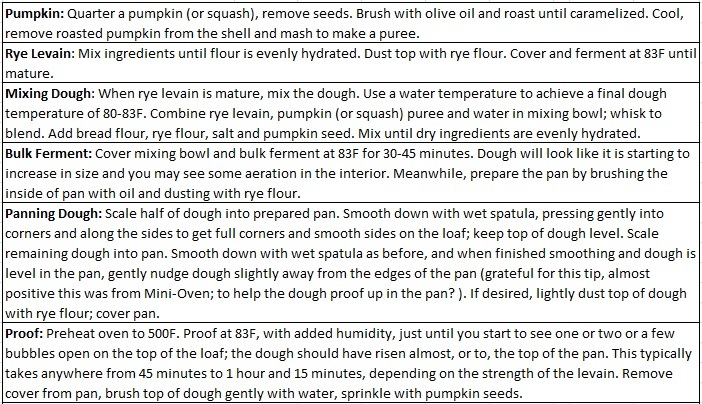 I am so pleased with what the squash did for this dough I'll try to use it more often. 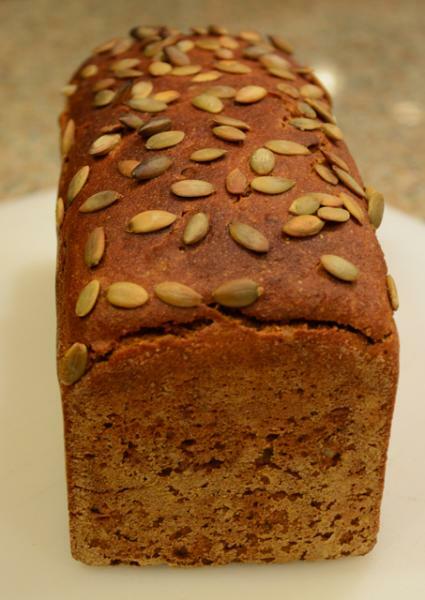 Thank you so much for the compliments and best wishes to you for your pumpkin loaf! This loaf is pretty amazing for such a high percentage of rye! I just went back and looked at Karin's loaf and reminded of how much I loved the color of her Pumpkin Whey Bread. Your bake of that bread was gorgeous, and I know your rye version will be, too. and a lovely loaf too! Using whole rye is very different to the white rye in the original formula; you have achieved excellent volume in the final loaf, all the same. My baking partner has been making a Pumpkin Bread for our Farmers' Markets....wonder whether he'd be up for converting his recipe to rye??? This is a lovely flour and I'm quite happy with recent bakes, using it. 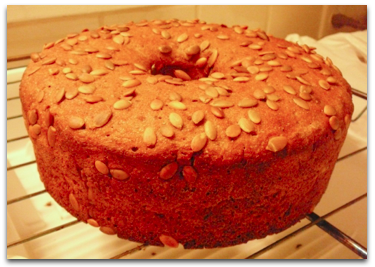 I hope your baking partner has a go at making this pumpkin rye. I'd love to hear how it turns out, if he does. Wishing you the very best for your Market and Holiday baking! Doesn't seem to turn my dark rye crumb yellow, at least under my kitchen lights and no coffee. Due to some elf activity, I managed to tip a little more white flour than Rogers' dark rye; 144g BF, 232g RF, and 43g roasted walnuts snuck in there along with 10 g mixed bread spice (coriander, fennel, and caraway.) The orange zest escaped. Next time! The pumpkin was about the consistency of the rye paste so I added more with total of 300g. Kept the stringiness of the squash (no puree) so I could take advantage of the structure. stirring as I added it to the starter. Used a two piece tube mould to form baked in one hour, first 40 min covered with foil. info: makes wedge slices. This bread is very moist, thick slices are not a problem, disappear just as fast. To make a sandwich cut two wedges, rotate one so the points are not together. Excellent flavour. Hubby wasn't sure what I should put into his sandwich and asked if it was sweet, No, but could go either way depending on the toppings. Smeared butter between some wedges and off they went with soup for lunch. I suspect they will be gone before he gets to the soup. Thanks again for posting the recipe! Thank You, Zapach! Thanks so much for the pictures - loved seeing how this turned out; your bread is really pretty baked in the ring shape, with seeds all around! I am really happy you liked how this tasted, and bet it was wonderful with the spice! For the next bake, won't be shy about adding more squash like you did; spice, fruits, nut will be on the menu too. The baker at Zapach Chleba offered a lovely formula - I hope the beautiful loaf this baker shared encourages others, who have not baked a high-% rye yet, to give it a try! and the 15g of fresh orange peel smells so yummy! Orangy caramely buttery rye! 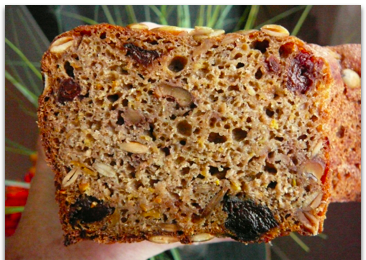 The orange, fruit and nut flavors - can only imagine how delicious this bread must be. Going to make one of these for Christmas to enjoy with the extra turkey. Beautifull rye bread, I have one going at the moment. Hope mine turns out as good as yours! Thank you for your note, and I hope you loved this bread! 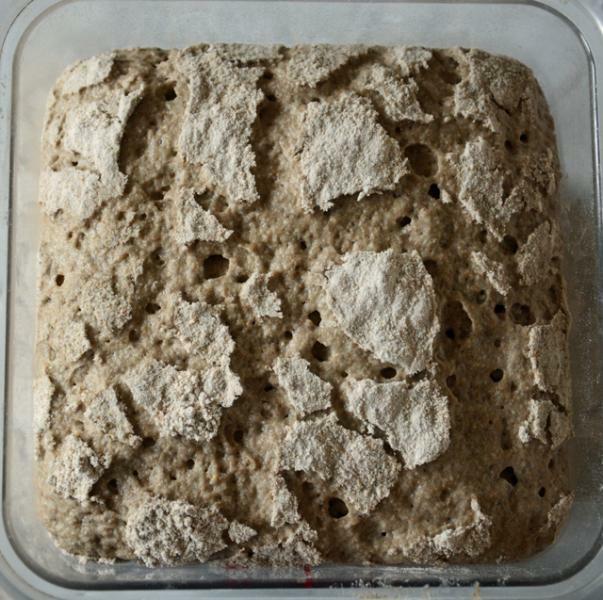 I would like to try this bread, can someone give me a rough idea on timing for the initial levain stage? The directions just say "until mature". Thanks. so depending on temperature could go anywhere from 8 to 12 hours. Overnight works out well. Glad you brought up this post, perfect timing! Thanks for that, I was wondering if it was a one or two day project. 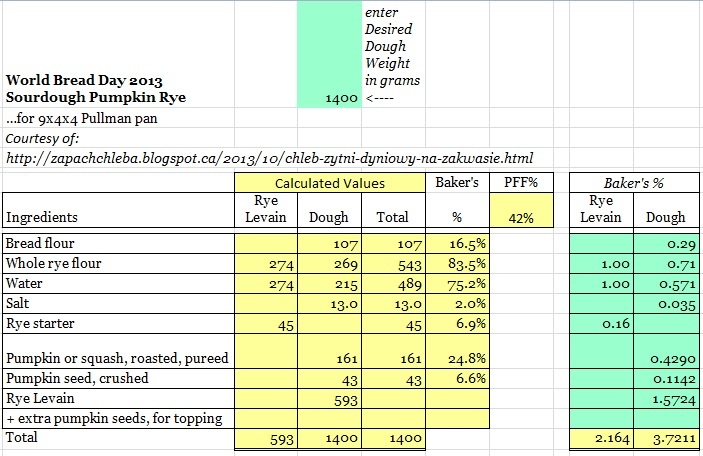 Is there a formula regarding the ratio you mentioned to calculate approximate times for sourdough to mature?